I’ve never seen a “Monaco and Southern France On A Shoestring” on the Lonely Planet shelf in my local book shop. 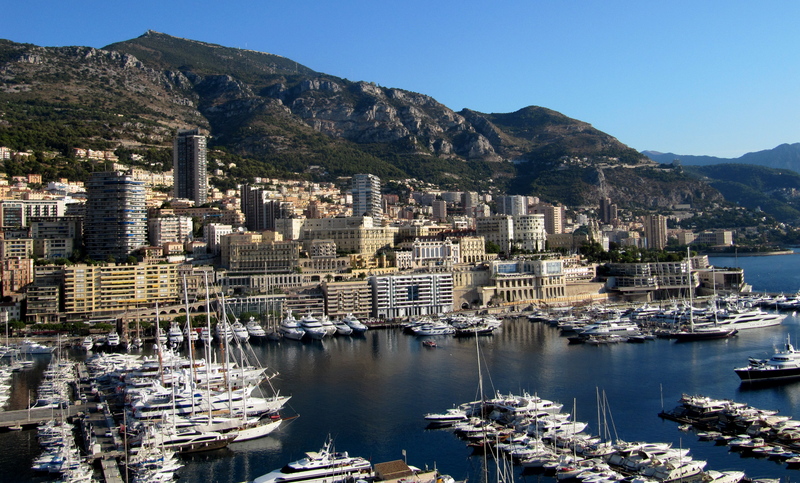 I’d never even stay in Monte Carlo if it weren’t for some extremely wealthy friends – I treasure such campanions. 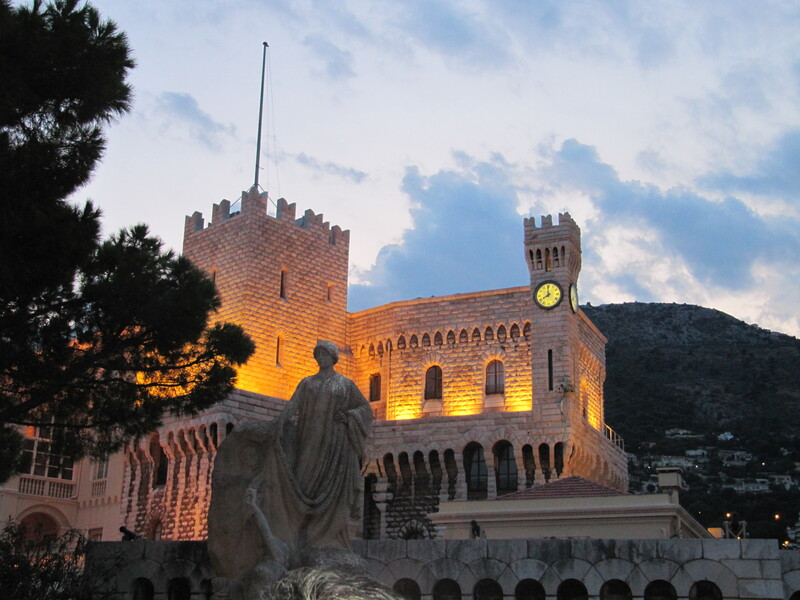 Monaco is a little like Disneyland: clean, safe, expensive, pristine, highly desirable. Fancy cars, fine dining, Haute Couture and $21 ice cream parfait. I really do love it here, though. I can’t fault the place, which is a little bit strange – almost creepy, really. I feel like a bit of a show-off telling my friends back home about my exploits in Monte Carlo, but as this is a travel blog it’d be wrong to hold back, right? Monte Carlo is chic. This is not the place to let go and be scruffy. The locals are exquisitely dressed to go out and have a sandwich at the patisserie.I feel like an orphan here even in my Sunday best, which is all I bring on a trip to this part of the world. I would say that perhaps you wouldn’t get served if you weren’t impeccably suited, but as I’ve never ever seen le grunge in Monaco I have no idea what would happen. I have never dined at the famous 3-michelin star Le Louis XV Alain Ducasse restaurant (which, to save embarassment, is known as “Louis Quinze”… no sniggering, we aren’t all Francophones) but I did go for a look. It’s beautiful BUT the menu didn’t seem to satisfy my, perhaps, common palette and I wasn’t keen on paying 150 euros or more on something I didn’t fancy, and why would you when you’re in Monaco, and there are so many fine places to dine? There’s Zelos (French Website) at the Grimaldi Forum on Ave Princesse Grace.This place is popular – the beautiful people; the rich and famous; royals and business executives – they all show up at Zelos at some point. Sparkly, modern and unique with shaggy carpets and Piaget clocks lining the entrance. Great menu – Middle eastern and Mediterranean cuisine. I enjoyed my salad, lobster pasta and the chocolate platter. With a Vodka tonic and a glass of Champagne or 2 I paid about 52 euros, and it was well worth it.I did find the Zelos staff to be a bit difficult, not so friendly or helpful. One of them either didn’t speak French or was just speaking in Italian to get up my nose. It worked – I got cranky.I guess that, as they are so trendy, they think they get away with it. Most of the Trip Advisor reviewers and I don’t agree with their attitude…but I love their cocktails and it’s a so cool place AND it’s royalty go there, so it’s good enough for me then. The beach seems so clean and… it’s the Mediterranean – usually I love to look but never touch, but in Monte Carlo it seems to be lovely and clean. I feel like an heiress myself as I walk along the port and have a sneaky peek inside the moored speed boats and yachts. I take pictures of myself in front of the really posh ones and then slink off so I don’t have to make eye contact with the owners. 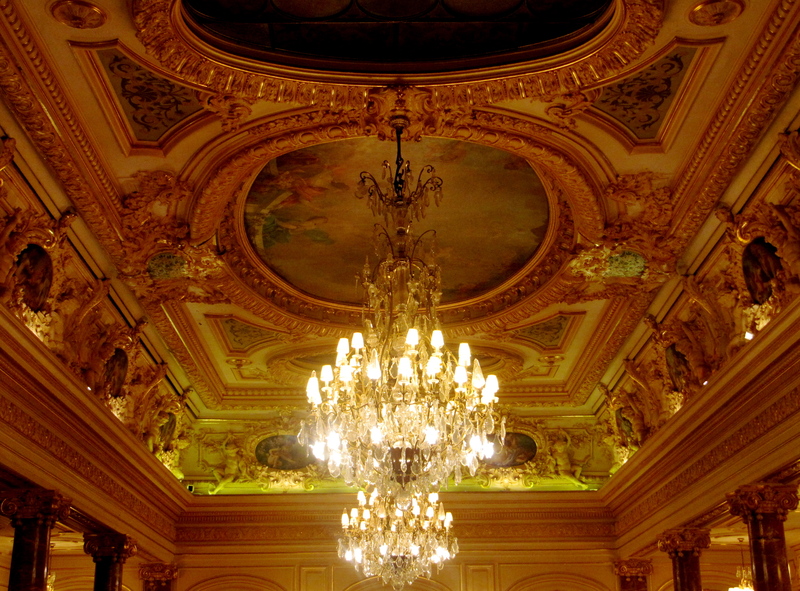 Le Casino is something that no gambler or even puritanical non-gambler would ever want to miss. Dress code applies of course, but it’s good if you don’t wish to spend and want to just have a drink and a look. There are 1 and 2 cent slot machines and poker machines and the roulette is another option if you don’t have thousands to spend.The serious gamblers seem to all be attached to stools in the Sun Casino in the Fairmont Hotel – I did alright there on the electronic roulette once. Shopping?Forget it. Not unless you hit the jackpot at the Sun Casino.I haven’t been so lucky yet.Take the 40 minutes to go to Nice instead and go crazy there. Apart from Zara near the Hermitage hotel and the Carrefour in Monaco Ville, it’s all Cartier, Gerard and Hermes. However, if you go to the shops near the Monaco Cathedral in those old lanes they have some affordable touristy stuff and reasonable, locally made perfume.The Metropole shopping centre has some nice boutiques and stores such as Lacoste and Tommy Hilfiger. There is also a good shoe shop.They have a great sandwich shop/cafe and a nice deli with great chocolates, jam, tinned items. For the filthy rich, head to the Chocolaterie de Monaco in the Place de la Visitation. The chocolates are nice, but I had a choice between a pair of shoes from the Tommy Hilfiger store, or a box of chocolates ($100 for a small box of truffles) I ate the samples in the chocolate shop and bought the shoes. The chocolates were ok, I still have the shoes.